The Grammy Award for Best Pop Instrumental Performance was awarded between 1969 and 2011. The award was discontinued from 2011 in a major overhaul of Grammy categories. From 2012, all instrumental performances in the pop category (solo or with a duo/group) were shifted to either the newly formed Best Pop Solo Performance or Best Pop Duo/Group Performance categories. A similar award for Best Instrumental Performance was awarded from 1965 to 1968. This was also in the pop field, but did not specify pop music. 1969 Mason Williams "Classical Gas"
1970 Blood, Sweat & Tears "Variations on a Theme by Erik Satie"
1971 Henry Mancini "Theme from Z and Other Film Music"
1974 Eumir Deodato "Also Sprach Zarathustra (2001)"
1975 Marvin Hamlisch "The Entertainer"
1976 Van McCoy "The Hustle"
Chuck Mangione — "An Evening of Magic"
Frank Mills — "Music Box Dancer"
John Williams — "Theme from Superman"
The Doobie Brothers — "South Bay Strut"
Henry Mancini — "Ravel's Bolero"
John Williams and the London Symphony Orchestra —"Yoda's Theme"
1982 Larry Carlton and Mike Post "The Theme From Hill Street Blues "
Royal Philharmonic Orchestra — "Hooked on Classics"
1983 Ernie Watts " Chariots of Fire Theme (Dance Version)"
1984 George Benson "Being with You"
Herb Alpert — "Blow Your Own Horn"
Helen St. John — "Love Theme from Flash-Dance"
1985 Ray Parker, Jr. "Ghostbusters (Instrumental)"
Steve Mitchell, Richard Perry and Howard Rice — "Jump (For My Love)"
Randy Newman — "The Natural"
Stevie Wonder — "I Just Called to Say I Love You"
1986 Jan Hammer "Miami Vice Theme"
Harold Faltermeyer — "Axel F"
David Foster — "Love Theme from St. Elmo's Fire"
Spyra Gyra — "Shake Down"
1987 Harold Faltermeyer and Steve Stevens "Top Gun Anthem"
The Tonight Show Band — "Johnny's Theme"
1988 Larry Carlton "Minute by Minute"
Herb Alpert — "Keep Your Eye on Me"
The Art of Noise — "Dragnet"
Chick Corea Elektric Band — "Light Years"
Dave Grusin — "It Might Be You"
MARRS — "Pump Up the Volume"
Mike Post — "Music from L.A., Law & Otherwise"
Joe Satriani — "Always with Me, Always with You"
1990 The Neville Brothers "Healing Chant"
Kenny G — "Breadline Blues"
Neal Schon — "Late Night"
Andreas Vollenweider — "Dancing with the Lion"
1991 Angelo Badalamenti " Twin Peaks Theme"
Kenny G — "Going Home"
Phil Collins — "Saturday Night and Sunday Morning"
Quincy Jones — "Setembro (Brazilian Wedding Song)"
Stanley Jordan — "What's Goin' On"
Kenny G — "Theme from Dying Young "
1993 Richard Kaufman "Beauty and the Beast"
The Chieftains and Chet Atkins — "Tahitian Skies"
Bruce Hornsby and Branford Marsalis — "Twenty Nine-Five"
Bob James and Earl Klugh — "Cool"
1994 Branford Marsalis and Bruce Hornsby "Barcelona Mona"
George Benson — "Got to Be There"
Kenny G — "Forever in Love"
James Galway — "Beauty and the Beast"
Anthony Inglis with The London Symphony Orchestra — "The Phantom of the Opera"
1995 Booker T. & the M.G. 's "Cruisin'"
Branford Marsalis and Bruce Hornsby — "The Star Spangled Banner"
Mike Post — "Theme from 'NYPD Blue'"
Alan Silvestri — "I'm Forrest...Forrest Gump (The Feather Theme)"
1996 Los Lobos "Mariachi Suite"
The Allman Brothers Band — "In Memory of Elizabeth Reed"
Bruce Hornsby — "Song B"
Kenny G — "Have Yourself a Merry Little Christmas"
1997 Béla Fleck and the Flecktones "The Sinister Minister"
Adam Clayton and Larry Mullen — "Theme from Mission: Impossible"
Lalo Schifrin with the London Philharmonic Orchestra — "Theme from Mission: Impossible"
The Smashing Pumpkins — "Mellon Collie and the Infinite Sadness"
Stevie Wonder — "Kiss Long Good Bye"
1998 Sarah McLachlan "Last Dance"
George Benson — "Song for My Brother"
The Chieftains — "An Gaoth Arenas"
Grover Washington, Jr. — "Soulful Strut"
1999 The Brian Setzer Orchestra "Sleepwalk"
The Dust Brothers — "The X-Files"
Béla Fleck and the Flecktones — "Big County"
Kenny G — "My Heart Will Go On"
Pat Metheny Group — "Follow Me"
Jeff Beck — "A Day in the Life"
Bruce Hornsby — "Song C"
Willie Nelson — "Night and Day"
2001 The Brian Setzer Orchestra "Caravan"
The Corrs — "Rebel Heart"
Béla Fleck and the Flecktones — "Zona Mona"
Grover Washington, Jr. — "Camaleao"
Larry Carlton and Steve Lukather — "Room 335"
Daft Punk — "Short Circuit"
Kirk Whalum — "You'll Be There"
2003 B. B. King "Auld Lang Syne"
Dave Koz and Jeff Koz — "Blackbird"
Pat Metheny Group — "As It Is"
Kirk Whalum — "Playing with Fire"
2004 George Harrison "Marwa Blues"
Ry Cooder and Manuel Galbán — "Patricia"
The Brian Setzer Orchestra — "The Nutcracker Suite"
2005 Ben Harper "11th Commandment"
Herb Alpert, Russ Freeman, James Genus, Gene Lake and Jason Miles — "Chasing Shadows"
George Benson — "Take You Out"
Bruce Hornsby — "Song F"
Brian Setzer — "Rat Pack Boogie"
Burt Bacharach and Chris Botti — "In Our Time"
Herbie Hancock and Trey Anastasio — "Gelo na Montanha"
2007 George Benson and Al Jarreau "Mornin'"
Béla Fleck and the Flecktones — "Subterfuge"
Bruce Hornsby — "Song H"
The Brian Setzer Orchestra — "My Favorite Things"
2008 Joni Mitchell "One Week Last Summer"
Beastie Boys — "Off the Grid"
Ben Harper & The Innocent Criminals — "Paris Sunshine #7"
Dave Koz — "Over the Rainbow"
Spyro Gyra — "Simple Pleasures"
2009 Eagles "I Dreamed There Was No War"
Steve Cropper and Felix Cavaliere — "Love Appetite"
Stanley Jordan — "Steppin' Out"
2010 Béla Fleck "Throw Down Your Heart"
Imogen Heap — "The Fire"
Marcus Miller — "Funk Joint"
2011 Jeff Beck "Nessun Dorma"
Stanley Clarke — "No Mystery"
The Brian Setzer Orchestra — "Sleepwalk"
The Grammy Award for Best Rock Performance by a Duo or Group with Vocal was awarded between 1980 and 2011. The Grammy Award for Best Rock Instrumental Performance was an honor presented to recording artists for quality instrumental rock performances at the Grammy Awards, a ceremony that was established in 1958 and originally called the Gramophone Awards. Honors in several categories are presented at the ceremony annually by the National Academy of Recording Arts and Sciences of the United States to "honor artistic achievement, technical proficiency and overall excellence in the recording industry, without regard to album sales or chart position". The Grammy Award for Best New Age Album is presented to recording artists for quality albums in the new-age music genre at the Grammy Awards, a ceremony that was established in 1958 and originally called the Gramophone Awards. Honors in several categories are presented at the ceremony annually by the National Academy of Recording Arts and Sciences of the United States to "honor artistic achievement, technical proficiency and overall excellence in the recording industry, without regard to album sales or chart position". The Grammy Award for Best Jazz Vocal Performance, Female was an honor presented at the Grammy Awards, a ceremony that was established in 1958 and originally called the Gramophone Awards, to female recording artists for quality jazz vocal performances. Honors in several categories are presented at the ceremony annually by the National Academy of Recording Arts and Sciences of the United States to "honor artistic achievement, technical proficiency and overall excellence in the recording industry, without regard to album sales or chart position". The Grammy Award for Best Jazz Vocal Performance, Male was an honor presented at the Grammy Awards, a ceremony that was established in 1958 and originally called the Gramophone Awards, to male recording artists for quality jazz vocal performances. Honors in several categories are presented at the ceremony annually by the National Academy of Recording Arts and Sciences of the United States to "honor artistic achievement, technical proficiency and overall excellence in the recording industry, without regard to album sales or chart position". The Grammy Award for Best Contemporary Jazz Album was an award presented at the Grammy Awards, a ceremony that was established in 1958 and originally called the Gramophone Awards, to recording artists for works containing quality contemporary jazz performances. Honors in several categories are presented at the ceremony annually by the National Academy of Recording Arts and Sciences of the United States to "honor artistic achievement, technical proficiency and overall excellence in the recording industry, without regard to album sales or chart position". The Grammy Award for Best Latin Jazz Album is an award presented at the Grammy Awards, a ceremony that was established in 1958 and originally called the Gramophone Awards, to recording artists for quality works in the Latin jazz music genre. Honors in several categories are presented at the ceremony annually by the National Academy of Recording Arts and Sciences of the United States to "honor artistic achievement, technical proficiency and overall excellence in the recording industry, without regard to album sales or chart position". The Grammy Award for Best Mexican/Mexican-American Album was an honor presented to recording artists for quality albums in the Mexican music genre at the Grammy Awards, a ceremony that was established in 1958 and originally called the Gramophone Awards. Honors in several categories are presented at the ceremony annually by the National Academy of Recording Arts and Sciences of the United States to "honor artistic achievement, technical proficiency and overall excellence in the recording industry, without regard to album sales or chart position". The Grammy Award for Best Pop Vocal Album is an honor presented at the Grammy Awards, a ceremony that was established in 1958 and originally called the Gramophone Awards, to recording artists for quality pop music albums. Awards in several categories are distributed annually by the National Academy of Recording Arts and Sciences of the United States to "honor artistic achievement, technical proficiency and overall excellence in the recording industry, without regard to album sales or chart position." The Grammy Award for Best Contemporary Instrumental Album is an award presented at the Grammy Awards, a ceremony that was established in 1958 and originally called the Gramophone Awards, to recording artists for quality instrumental albums in the pop music genre. Honors in several categories are presented at the ceremony annually by the National Academy of Recording Arts and Sciences of the United States to "honor artistic achievement, technical proficiency and overall excellence in the recording industry, without regard to album sales or chart position". 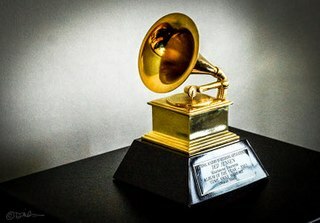 The Grammy Award for Best Remixed Recording, Non-Classical is an honor presented to producers for quality remixed recordings at the Grammy Awards, a ceremony that was established in 1958 and originally called the Gramophone Awards. Honors in several categories are presented at the ceremony annually by the National Academy of Recording Arts and Sciences of the United States to "honor artistic achievement, technical proficiency and overall excellence in the recording industry, without regard to album sales or chart position". Whitney Houston is one of the most successful female singers of all time. Her accomplishments have been recognized with six competitive Grammy Awards, and one Grammy Hall of Fame Award, giving her a total of seven Grammy Awards, though she has been nominated twenty-five times. She earned her first Grammy, Best Pop Vocal Performance, Female, in 1986, and was honored with two general field Grammys: Album of the Year for The Bodyguard Soundtrack and Record of the Year for "I Will Always Love You" at its 36th ceremonies in 1994. Below is a list of awards for which she has been nominated and those that she won. The Latin Grammy Award for Best Instrumental Album is an honor presented annually at the Latin Grammy Awards, a ceremony that recognizes excellence and creates a wider awareness of cultural diversity and contributions of Latin recording artists in the United States and internationally. The award goes to the artists for releasing albums containing at least 51% or more of instrumental tracks of Latin instrumental recordings. ↑ Arar, Yardena (January 9, 1980). "Grammy awards field a definite mixed bag". The Spokesman-Review . Cowles Publishing Company. ↑ "Here's complete list of the Grammy nominees". The Register-Guard . Guard Publishing Co. 1981-02-21. p. 38. ↑ "24th Annual Grammy Awards Final Nominations". Billboard . Nielsen Business Media, Inc. 94 (3): 90. January 23, 1982. ISSN 0006-2510. ↑ "25th Annual Grammy Award Final Nominations". Billboard. Nielsen Business Media, Inc. 95 (3): 87. January 22, 1983. ISSN 0006-2510. ↑ "Complete List of the Nominees for 26th Annual Grammy Music Awards". Schenectady Gazette . The Daily Gazette Company. 1984-01-09. p. 12. ↑ "27th Annual Grammy Awards Final Nominations". Billboard. Nielsen Business Media, Inc. 97 (4): 78. January 26, 1985. ISSN 0006-2510. ↑ Hunt, Dennis (January 10, 1986). "'We Are The World' Scores In Grammy Nominations". Los Angeles Times. Tribune Company. p. 4. ↑ "Veterans top Grammy nominations". The Herald . The McClatchy Company. January 8, 1987. ↑ "Grammy Nominations". The San Diego Union-Tribune . January 15, 1988. Archived from the original on 2011-08-08. Retrieved 2012-07-06. ↑ Hunt, Dennis (January 13, 1989). "Chapman, McFerrin Lead Grammy Race: Baker, Sting, Michael, Winwood Also Capture Multiple Nominations". Los Angeles Times. Tribune Company. p. 2. ↑ "Here's list of nominees from all 77 categories". Deseret News . Salt Lake City, Utah: Deseret News Publishing Company. January 12, 1990. ↑ Cromelin, Richard; Hunt, Dennis (January 11, 1991). "Grammys--Round 1: Pop music: Phil Collins' 8 nominations lead the pack and Quincy Jones sets a record with his 74th nod. The winners will be revealed on Feb. 20". Los Angeles Times. Tribune Company. p. 2. ↑ "Grammy Nominations Span Streisand, Seal, Seattle Symphony". The Seattle Times . The Seattle Times Company. January 8, 1992. Retrieved February 12, 2011. ↑ "Grammy Nominations". The Baltimore Sun . Tribune Company. January 7, 1994. ↑ "The 37th Grammy Nominations". Los Angeles Times. Tribune Company. January 6, 1995. ↑ "List of Grammy nominees". CNN. January 4, 1996. ↑ "The Complete List of Nominees". Los Angeles Times. Tribune Company. January 8, 1997. ↑ "Complete List of Academy Voter Picks". Los Angeles Times. January 8, 1998. p. 15. ↑ "1999 Grammy Nominations". Reading Eagle . Reading Eagle Company. January 6, 1999. ↑ "A Complete List of the Nominees". Los Angeles Times. Tribune Company. January 5, 2000. ↑ Boucherdate=January 4, 2001, Geoff. "Grammys Cast a Wider Net Than Usual". Los Angeles Times. Tribune Company. p. 2. ↑ "Complete list of Grammy nominations". The Seattle Times . The Seattle Times Company. January 4, 2002. ↑ "Grammy Nominations: Complete List". Fox News Channel. January 3, 2003. ↑ "Complete list of Grammy nominations". The Seattle Times. The Seattle Times Company. December 5, 2003. ↑ "Grammy Award nominees in top categories". USA Today . Gannett Company. February 7, 2005. ↑ "Complete list of Grammy Award nominations". USA Today. Gannett Company. December 8, 2006. ↑ "49th Annual GRAMMY Nominees". CBS News. December 7, 2006. ↑ "The Complete List of Grammy Nominees". The New York Times . The New York Times Company. December 6, 2007. Retrieved February 12, 2011. ↑ "Complete List of Nominees for the 51st Annual Grammy Awards". E! Online. December 3, 2008. ↑ Partridge, Kenneth (December 2, 2009). "Nominees for 2010 Grammy Awards Announced -- Full List". Spinner.com. ↑ "Grammy Awards 2011: Complete nominees for 53rd Grammy Awards". Los Angeles Times. Tribune Company.